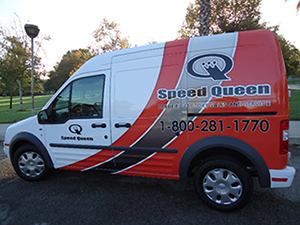 Our factory-trained service technicians deliver responsive, personal and accurate service. We understand equipment breakdowns negatively affect production and profits. That's why we immediately respond to service calls. Our clients feel secure knowing our highly trained team is available around the clock to serve San Bernardino and Riverside Counties. At Southern California Laundry, our service sets us apart.